In Chap. 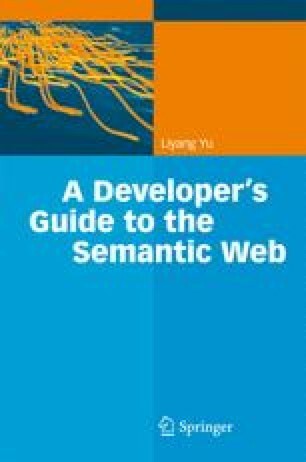 9 we have studied semantic wiki, where semantic information is manually added to the Web content. In Chap. 10, we have studied DBpedia project, where semantic documents are automatically generated. As we have discussed in Chap. 7, besides annotating the pages manually or generating the markup documents automatically, there is indeed another solution: to create a machine-readable Web all from the scratch.